Tableside Ordering – Whether it’s enhancing traditional POS software or extending the range of services you provide, you are now seeing servers with tablets in many restaurants. These tablets are used for taking customers’ orders and then transmitting these orders directly to the kitchen. Not only do these orders reach the kitchen faster, but meals get to the tables more quickly than ever before. Plus, you are eliminating the need for paper and minimizing mistakes from kitchen staff trying to decipher handwriting. Customers, in turn, get a better experience, promoting return customers and word-of-mouth references. Data Security – Data breaches have been going on since the 2000’s. Recently, huge companies had their customer data compromised by criminal hackers and, as a result, incurred mind-boggling fines. Small businesses, like your restaurant, may not take the time to think about things such as their network or dedicated servers or firewalls. It’s essential for all restaurants to take steps to safeguard the credit card data of their customers. After all, trust remains vital with your customers. Your restaurant, along with every other business, is required to meet Payment Card Industry’s new Data Security Standards known as “version 3.2” that became mandatory on October 31, 2016. One step you can take towards becoming PCI Compliant is to work with your local POS Value Added Reseller to make sure you are using a system that can work with the latest standards for data security. By implementing these standards, you will help to safeguard payment data before, during and after a purchase. These standards do require time, money and expertise to implement, but remember, the cost of compliance is less than the cost of a data breach. Cloud-based Technology – Another restaurant POS trend is the emergence of cloud-based reporting and POS management. Cloud-based solutions are becoming increasingly popular because they can be accessed from anywhere there is internet access and across any device (desktop computer, tablet or smartphone). This enables restaurant managers to keep a closer eye on their business, whether they are across the restaurant or across the globe. Mobile Payments – Now that many restaurants have implemented EMV chip cards, this technology requires a change to the way customers pay their check. Because of this, customers are looking for newer, faster ways of paying. That’s why most major players in the mobile device industry have delivered versions of the “mobile wallet” incorporating NFC technology (i.e., Apple Pay, Android Pay, Samsung Pay). Mobile wallet payments are faster than using either EMV or traditional swipe credit cards. You may want to consider accepting mobile payments, which, in turn, will improve customer service. Leveraging Data – Improve the customer experience by learning more about your guests. Guest check analytics and other data gathered by your POS system is key, but your business may also have access to data from other sources, too, such as payroll services or a customer loyalty application. If you’re not using all this different data, you’re missing out on important information that should guide your decision-making. This is why many restaurant technology specialists recommend implementing a real-time “Big Data” service that gathers actionable data from a variety of sources and delivers it — in real-time — to the smartphones of restaurant managers. For example, identify staff who attempt to process a suspicious number of voids on cash transactions, preventing theft and increasing profits. Even the smallest restaurants can profit from real-time data collection. All restaurants including independent restaurants should be aware of these emerging technology trends that are impacting the industry. 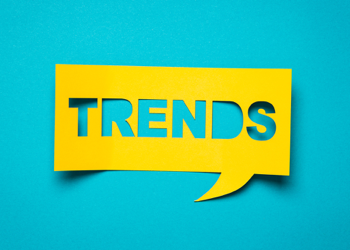 Research which of these trends may provide long-term results, resulting in increased profitability as well as enhanced customer satisfaction.